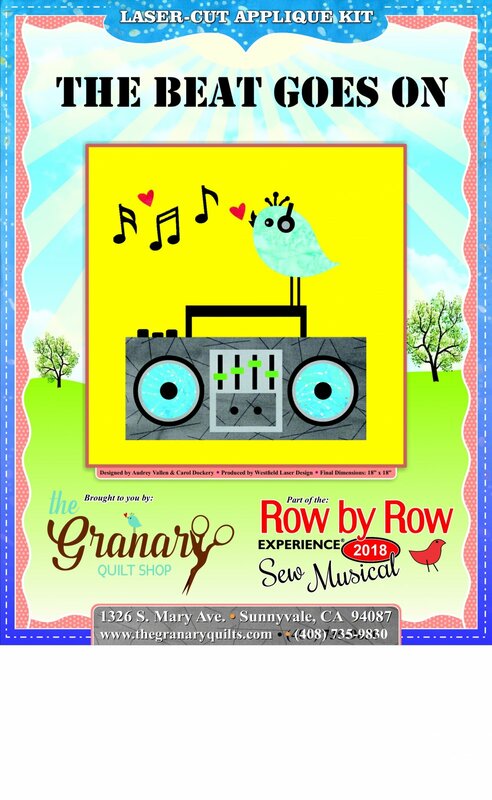 The Granary's 2018 Row by Row is The Beat Goes On. This year, we chose the new 18" x 18" row format for our row. Our laser cut kit features a yellow background and 33 precision cut fusible pieces (border fabric not included). We ship anywhere in the US for $ 5.00 shipping and handling fee. For international orders, please call us at + 1 (408) 735-9830.